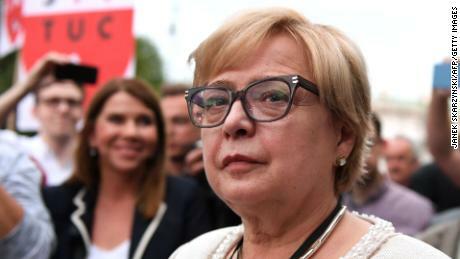 Malgorzata Gersdorf, the 65-year-old head of Poland's Supreme Court, told CNN that the government's judicial reforms were "dangerous" to democracy in a country already in "friction" with the rest of Europe. Gersdorf's comments come as the European Commission on Monday decided to sue Warsaw for violating the independence of its judiciary. It's the latest step in the Commission's complex disciplinary action against Poland for breaching European Union core principles, exposing the deep unease in parts of Europe with the policies pursued by Warsaw's right-wing Law and Justice party (PiS).As part of government reforms, the retirement age of Supreme Court judges was lowered from 70 to 65 — a move affecting 27 of the 72 sitting judges. Not that Gersdorf is having any of it. "I will not resign," she told CNN during an interview in her Warsaw office, where she has returned to work almost every day since the new laws came into effect in April. "But I may not be able to do this honorable job," she added. "In my mind, I will remain the First President of the Supreme Court until 30th April, 2020. And only changing the constitution can alter that — or my dying," said the justice who had been serving a six-year term under the constitution. Under the reforms, judges can also ask the Polish president to prolong their mandate — something Gersdorf has previously dismissed as equal to "subordination. "But the PiS has said the reforms are needed to rectify an ineffective judicial system influenced by communist-era judges. 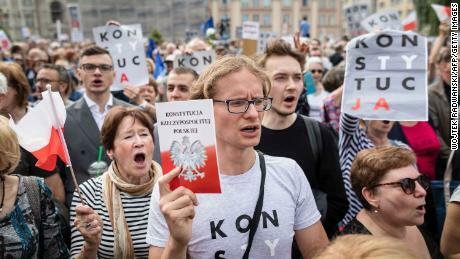 The Polish government had not replied to a CNN request for comment at time of publishing.Gersdorf, wearing a necklace bearing the word "Konstytucja" or "Constitution" was quick to dismiss the government's reasoning. "This is fake news spread by government officials, because there are no corrupt individuals in the Supreme Court," she said. "If there were any, we would have prosecutions. Nor are there any people who would have had a dark page under communism, because they would not have been admitted into the Supreme Court in the 1990s, when the court was reconstituted. "Defying a government deadline to ask for a prolonged mandate, she turned up to work flanked by hundreds of supporters in July. "It was wonderful," she recalled. "I received beautiful flowers and there was a lot of support for my attitude. "Gersdorf has since become something of a celebrity of the resistance movement, but admits Polish society is still "split" on the reforms. "There are pro-government firebrands who only listen to one side of the story, to their media. And that shows on the internet, in their verdict on my position," she said. "To these people, I am a German, a sell-out, practically all that is worst," Gersdorf said, possibly referring to suggestions that she was unpatriotic and on the side of pro-EU Germany, rather than Poland. "But there is a section of society which strongly supports me in my struggle for democracy and for judiciary independence, and I can see this each morning in front of the court," she said. Among those backing the Polish government, is US President Donald Trump. On Tuesday, a day after the Commission referred Warsaw to its highest court, the European Court of Justice, over its judicial reforms, Trump praised Poland in a speech at the United Nations General Assembly in New York. "In Poland, a great people are standing up for their independence, their security, and their sovereignty," he said. 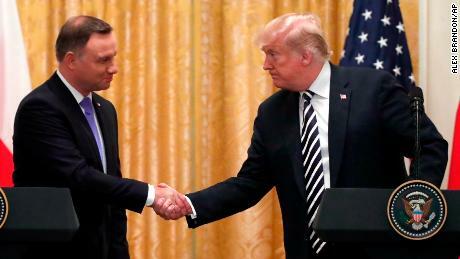 Trump made his remarks a week after saying that the US was considering placing a permanent military base in Poland and the country's president proposed naming it "Fort Trump" in his honor. Poland's ally and neighbor Hungary is also facing disciplinary action from the EU for its alleged crackdown on democratic institutions. Both countries are facing punishment under Article 7 — a disciplinary process that could ultimately lead to their suspension of voting rights from the bloc. It's the first time the bloc has triggered Article 7, exposing a deepening ideological divide between a growing alliance of populist governments, and Brussels. Gersdorf said there were some "frictions" between Poland and Hungary, and other European states, although she didn't go as far as to see it as a "drifting apart. "Of greater concern to her was the blurring of lines between the government and the judicial system in Poland. 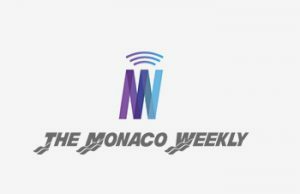 "This is very dangerous, not only for society here and now, but also for the very ruling party, should it lose power," said Gersdorf. "Because those undemocratic instruments they have created may be turned against them. And that is what really worries me — that it may be an instrument which will take root in Poland." Gersdorf was "born into a family of jurists" and says she immensely enjoyed their legal conversations at home, deciding from an early age that she wanted to be a lawyer. After a lifetime in law, including as a professor at the University of Warsaw, Gersdorf became the First President of the Supreme Court in 2014.Four years later, she is fighting to stay in the job she describes as the "crowning" moment in her career. How successful she will be, has yet to be seen.